Victor is a loving husband and father of two daughters (4 and 10 years old) in Longmont CO and he desperately needs a new heart. Dr. Allen, Victor’s primary care physician at Salud Family Health Center in Longmont CO for the past 10 years, states that “the only treatment long term for Victor is to have a heart transplant and this has been recommended by multiple cardiologists throughout the State of Colorado.” Although Victor has lived in Colorado since 1999, his immigration status prevents him from being placed on the transplant list in Colorado. In the past 2 months, Victor has gone 4 times to the Emergency Room in local hospitals due to pain, accelerated heart rate, and swelling of the body. We are currently raising money for Victor so that he can afford private health insurance so that he can obtain a ventricular assist device (heart pump) while he waits to be placed on the heart transplant list. Victor es un esposo y padre de dos niñas (4 y 10 años de edad) en Longmont Colorado y el urgentemente necesita un nuevo corazón. Dr. Allen, el médico de atención primaria en Salud Family Health Center por 10 años, dice que, “el único tratamiento a plazo largo para Victor es recibir un transplante de corazón y esto ha sido recomendado por varios cardiólogos por el estado de Colorado.” Aunque Victor ha vivido en Colorado desde 1999, su estatus le previene de estar en la lista de transplantes en Colorado. En los últimos 2 meses, Victor ha ido 4 veces al salón de emergencia en los hospitales locales por dolor, ritmo cardiaco acelerado y la hinchazón de su cuerpo por el defecto de su corazón. En este momento estamos recaudando fondos para Victor para estar al alcance de seguro médico privado para que pueda obtener un dispositivo de asistencia ventricular izquierda (llamado como “bomba de corazón”) mientras espera alcanzar la lista de transplante de corazón. Thanks to everyone one of you that was able to donate and/or share Victor's story with your family and friends. You all have provided much needed hope for Victor and his family. We have now raised enough money to cover Victor's full year of monthly insurance payments as well as cover his out-of-pocket maximum for 2019. He is eagerly awaiting his insurance card in the mail and is hoping to get an appointment at the very beginning of January. God bless! We can't thank everyone enough for the supportive comments, financial support, and renewed sense of hope that you have given to Victor and Estela. We couldn't have reached this goal without the help of Boulder Weekly, who put Victor's story on the Cover Page: https://www.boulderweekly.com/news/victors-heart/, and for the call to action (donate to the campaign) in the Opinion Column: https://www.boulderweekly.com/opinion/its-time-to-slow-down-and-think-a-bit-smaller/. If you haven't had a chance to donate yet, we are keeping the fund open until we have ensured that this campaign will be able to cover a year's worth of private health insurance for Victor (we are still currently in the enrollment process). Thanks and please consider sharing this on Facebook or with your networks. I am so thankful that we have almost raised almost $2000 for Victor. Per GoFundMe policy, I wanted to let everyone know of the financial details for Victor's campaign. 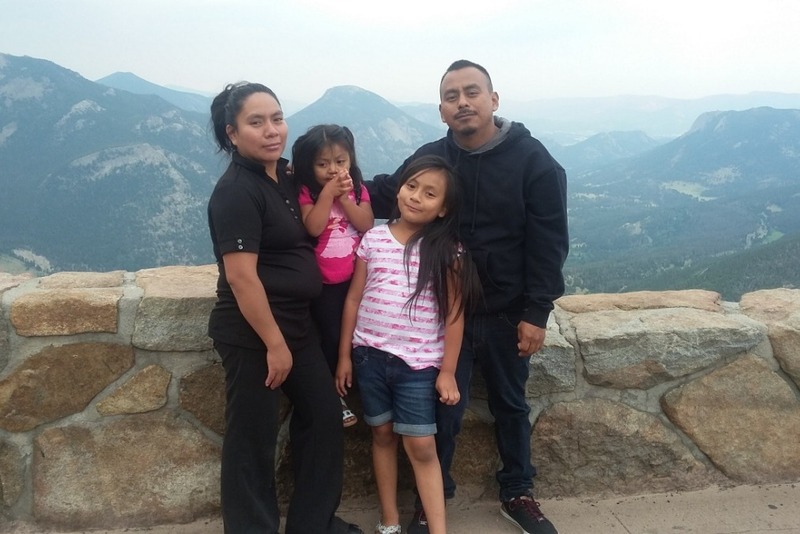 My wife and I met Victor, his wife Estela, and their first daughter almost ten years ago, when we lived in the same housing complex in Longmont. Because Victor can't be a direct recipient of the funds according to GoFundMe requirements, I as a friend and campaign administrator will receive the money and write checks to Victor so that he can deposit the donated funds into his bank account to cover the cost of private health insurance. Please let me know if you have any questions about this arrangement. Thanks! This past week, Victor was told by a medical provider that he would need to pay $5000 upfront (total cost to him would be $30,000) for a cardioversion (an electrical shock to the heart) that would restore a regular rhythm for his heart. He heart needs this shock about once every 3 months. 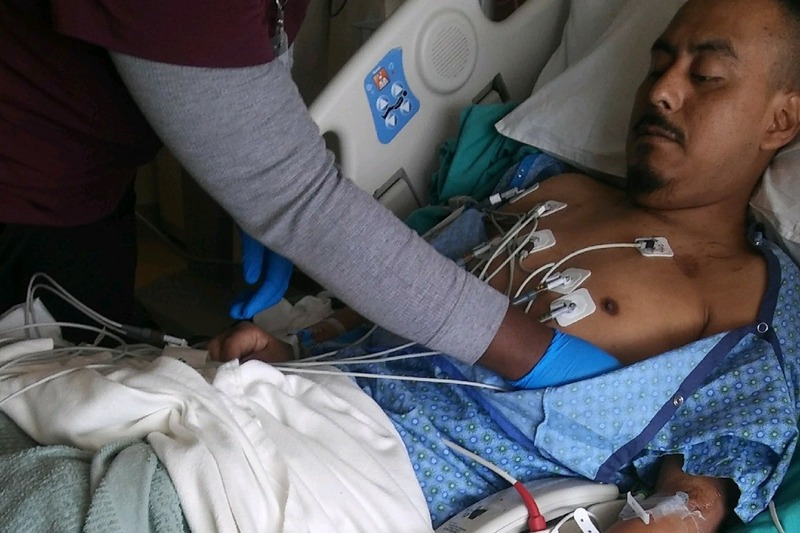 His family can't pay for this needed medical procedure because he can't work due to his health condition and his wife's two-jobs at local fast food restaurants just covers regular family expenses. En la semana pasada, un centro médico le dijo que él tiene que pagar $5000 deposito (costo total será $30,000) para una cardioversión eléctrica (un choque eléctrica en el corazón) para que el ritmo cardiaco vuelva a ser normal y regular. Su corazón necesita un choque una vez cada 3 meses. Su familia no tiene el dinero para cubrir este procedimiento porque él no puede trabajar debido su condición de salud y los trabajos en dos restaurantes de su esposa solo basta los gastos regulares de la familia.